Clifford P. Swain /John G. Alden Assoc. Alden design #1000. 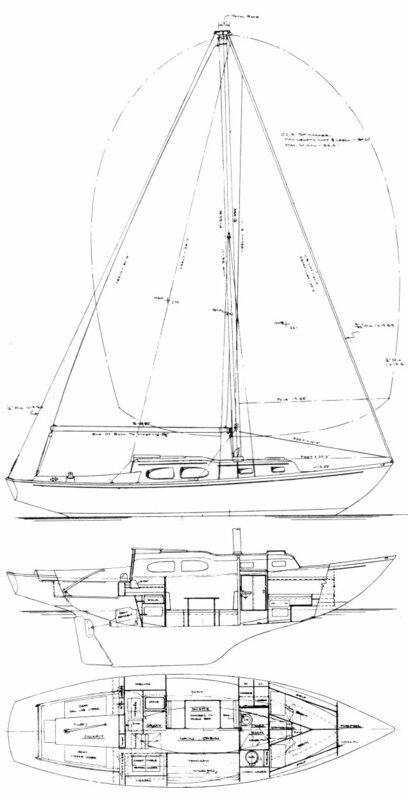 Clifford Swain, who drew the lines for this yacht, was chief designer for the Alden firm at this time. Available with standard or dinette interior (shown here). Also available as a yawl.